Stark Tech provides Printed Circuit Board layout services, which includes high speed PCB Layout and design Solutions that are economic, scalable and future oriented. 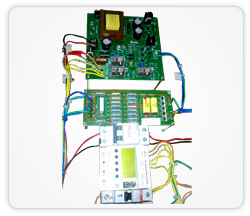 We design the circuit according to the specifications given by the customer, regarding of what is expected for the circuit to perform (i.e. elements to monitor, elements to sense, element to control, etc). 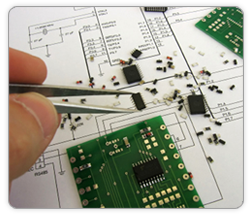 We carry out the electronic circuit design to fit what the customer expects. 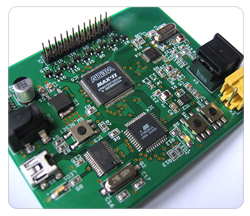 This specification covers the areas of Power, General Electronics, Embedded Systems. Stark Tech provides complete PCB documentation which includes the hardware dimensional drawings, schematic, BOM, Gerber file set, component placement file and layout file. 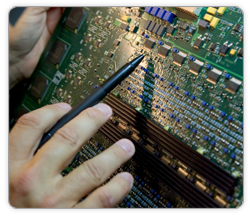 Stark Tech provides PCB assembly and fabrication service that uses latest technologies. We are specialized in High Frequency Single sided and double Sided PCB. Our services are flexible and based on the customer needs and can handle low volume and high volume production of both high and low-mix products with equal efficiency. Attractive fabrication cost and on time delivery to the customer. We offer Lead Free boards with appropriate materials and Getek, FR406, FR4, Rogers, Polyimide, Teflon and hybrid materials. Final finishes include ENIG Immersion gold, Immersion White Tin, Immersion Silver, Selective gold and both hard and soft gold body finishes. We can handle complete product life cycles starting from Design, Manufacturing, Assembly, shipment product to the market around the globe. The quality of our manufacturing services is the best in the industry and we have consistently demonstrated our commitment to meet and exceed customer expectations.